LAGOS—The Governor of Lagos State, Mr. Akinwunmi Ambode, said human resources counseling is a form of leadership development training, and how high performances have been known to increase in organisations that expose their human capital to counseling and leadership development through training programmes of this nature. Governor Ambode made this known at the end of a two-day training seminar to prepare the civil servants in the State on how things are done in the developed countries, and that it is only training and re-training that can put the State Civil Service in the same track with other countries. He said: “ Counseling engagements help nurture future leaders and organisations need to be strategic about developing and nurturing future leaders. Without strategy, important roles are often given to the most forward candidates with dominant personalities. “Quality appointment is a combination of the right qualities and the right training. Identify those who have what it takes and provide them with targeted counseling engagements with leadership training components. Representing the State Governor at the seminar, Commission, Ministry of Establishments, Training and Pensions, Dr. Akintola Oke, said the State Government is hopeful that this training will examine the implementable counseling strategies that can provide the government with modern and efficient human resource teams that will provide a source of expertise on people, policies, processes and recruitment campaigns. 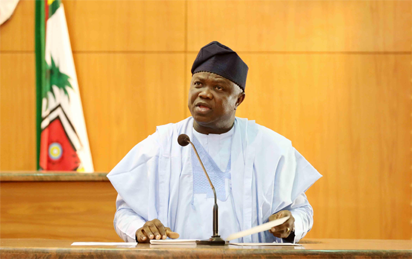 The post Lagos gov wants HR counselling for civil servants appeared first on Vanguard News.